Show Me The Parts For Sale! Show Me The Parts Wanted! Show Me The Cars For Sale! Show Me The Cars Wanted! shrinkwrap and AC Delco box. $100. message: I have 70thru72 buick parts. message: 500 ci Alchohol Injected Buick for sale. Howard alum. rods Arias pistons total seal rings, Stage 1 Iron heads maxed out. Kenne Bell roller rockers and 7xr cam. Kenne Bell oil pump. also have a set of TA stage 2 alum. heads maxed out. to sell seperate or package. I have a 72 Skylark with a GS package .Im looking for a 4 bl. intake with carb. also have a 72 4 door parts car , if any one needs parts for 72 Skylark. mike baughman (packratt02@aol.com) on Sunday, February 6, 2000 message: I have a winshield and back glass for a 73 riviera gs. These are the only two items for this car I have. Take $100.00for both. advance distributor.$75.00 takes all.717-939-5514 Harrisburg Pa.
Make offer. may part out. 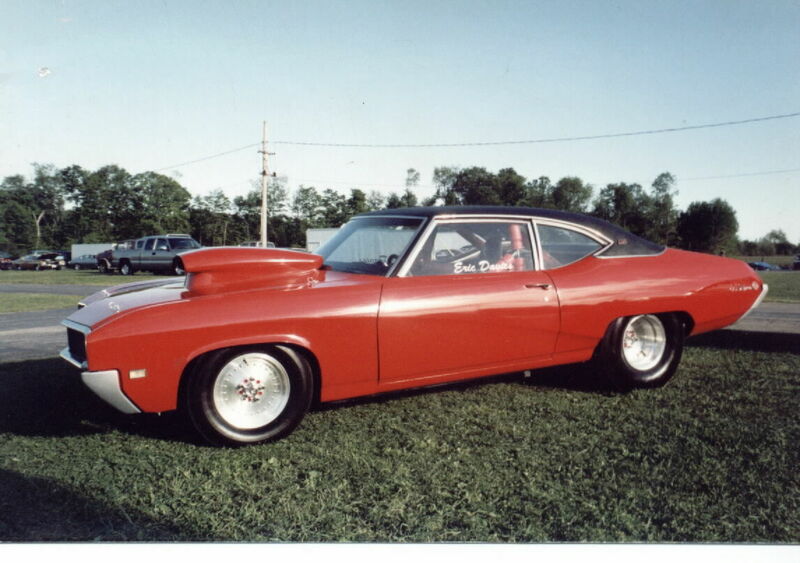 Norm Dihle (norm@buckshaw.com) on Monday, March 20, 2000 message: 1970 NOS Stage 1 Q-JET, NEW NEVER RAN! paint scheme 5.00 + shipping e mail me if needed. Would like parts or know where to find them, currently 3.42:1.
message: wanted Tilt Steering Column 72 Skylark GS and Rear GSX Spoiler, Repro ok.
message: Hi I am looking for a front bumper for a 1971 Skylark. Mine is pushed in so it doesn't look very good. I am also looking for a grill. due to the bumper being pushed in, the grill has taken a beating also. message: Looking for 1970 Sport Wheel, Complete, with horn button and contacts Brown in color, for a burnished saddle interior, or a Skylark Steering Wheel, in Excellent Condition.also a under hood light assembly with the wiring, for 70 GS Skylark. moulding/strip for a 69 Riviera . message: Need Left Rear Door for 1968-1969 4 Door HARDTOP Skylark. Also interested in whole parts car. 770-985-8600.
message: Looking for a rear spoiler for a 1970 Buick GSX,also a factory hood tach with harness if poss. message: i am looking for a 5/8 dia. oil pickup tube from a 1970 or up 455 cu. in. buick motor.any info would be appreciated. ALSO WOULD LIKE TO FIND A 70-71 455 ENG. message: I am search for a Aircleaner. am looking for a 70 gs ram air cleaner do you have one or know were i can get one. REMOTE LT & MANUEL RT SPORT MIRRORS. PARTS, AND MUST PART OUT QUICKLY. message: Looking for good rust free 1971 gs trunklid. message: I'm looking for a 1970 GS grill, front bumper fillers, and a shifter cable. message: I am desperately searching for a decklidfor my '69 Skylark. any help would be greatly appreciated. Hello I am looking for a dash cover plate for my convertible top switch, complete with clips, for my 1969 Skylark Custom Convertible. If you have any available please let me know. SKYLARK ANY INFO WOULD HELP. Rob Lovelace (eldorado@blazenet.net) on Tuesday, March 28, 2000 message: Desperate! Need tail light for passenger side 1986 Buick Riviera. Thanks! '68 and '71 Buick GS Stage I cars. Please email with any links. zo (dovigi@soonet.ca) on Thursday, April 27, 2000 message: Looking for a power enrichment vaccum regfulator for a 79 to 81 V6 231 turbo buick. know where I could find one in good shape? message: 1969 BUICK GRAN SPORT 400, Convertable. Numbers match for a GS400. Only 1,303 produced. Factory RAM air hood. I live in the Seattle area, and I have a '72 Skylark for sale. May trade for newer ve'l Tsi Talon etc. message: **FOR SALE** '72 Buick Skylark Conv.w/stage 1 455. 45,000 orginal miles. No restoration needed. Stock. 2nd owner. car! will sell to the right person or possibly trade for a 70-72 street car. MIke Geaney (Michael.Geaney@FMR.COM) on Thursday, March 9, message: 1972 GS Convertable...350...pretty good shape, great project car. $3500 or best offer. message: FOR SALE- 72 Buick GS 350 orange w/black vinyl top and interior very good condition $4800 obo. message: I am looking for a GSX to purchase. message: Wanted 1970-1972 GSX or 455 Stage1 project car. in the Cleveland, Ohio area. Matthew Stoner (mdmlstoner@webtv.net) on Friday, March 24, 2000 message: Wanted: 1970-1972 GS 350. Numbers matching, inspected, and in good condition. Thank You!